An interview with Karl Pfeiffer, the multitalented photographer, novelist, and ghost hunter. We cover his time on Syfy's Ghost Hunters Academy, as well as his thoughts on paranormal TV. We bravely tackle the polarizing topic of orbs! 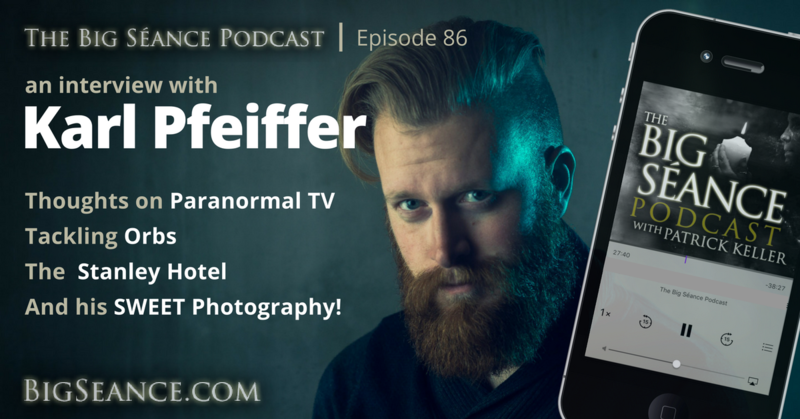 Plus his experiences from leading ghost tours at the Stanley Hotel, and the inspiration for his photography! Visit BigSeance.com for more info. Chris Curran is also the host of The Mystic Show, which you might find interesting.